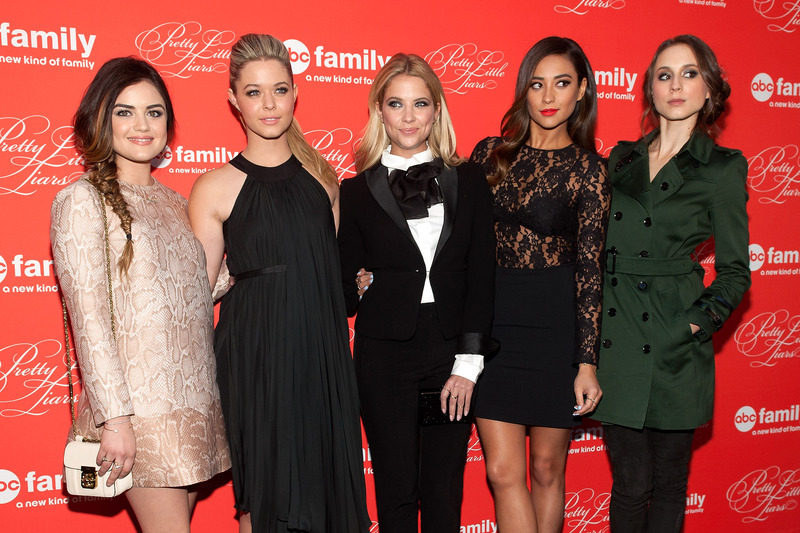 Pretty Little Liars fans (myself included) have been anxiously awaiting the season five premiere since the season four finale on March 18 that left so many questions to be answered. The drama-filled promos have caused me to impatiently wait in anticipation to find out who shot Ezra, who 'A' really is (as if they'll tell us this season...), how the Liars are going to end the 'A' war, and last but certainly not least what fashionable looks this season has in store. While the show revolves around a never-ending amount of secrets, one thing that has always been obvious is that the main characters are the most style-savvy high schoolers I have ever seen. Aria Montgomery, Emily Fields, Spencer Hasting, and Hanna Marin left me taking outfit notes every week since season one and the fashion and chic clothing has just gotten better with each time the girls have a near-death experience. Now that it turns out Ali DeLaurentis is alive and reunited with her BFFs, there's yet another teenage fashionista to take style advice from. In terms of fashion, the greatest part of these best friends and their wardrobes is that each girl has her own unique and distinct personal style. Spencer is always preppy chic, Aria's clothing has a tougher edge (read: feathers EVERYWHERE), Hanna is queen of the stilettos and girlier pieces, and Emily is the tomboy of the bunch (lest we forget she's gay). Something the girls have in common? Their outfits aren't complete without crazy amounts of accessories and coffee in hand. With only hours left until the June 10, 8 p.m. premiere, here are five outfits from the promos that already have be thinking this will be the most stylish season yet for the Liars. Want more PLL style? Check out Aeropostale's summer Pretty Little Liars collection with pieces that are perfect for your summer wardrobe. I always find myself envious of Aria's clothes and this outfit is no exception. I can't wait to see a full-length view of this look, but for now I'm loving the leather bomber jacket, feline printed dress, and multicolored, patterned scarf. The long-sleeved shorts romper looks so chic on Spencer and the tights and riding boots combo round out the look perfectly. Also, who is that dog?! Hanna and Emily's personal styles' couldn't be further apart, but the duo both look fashionably flawless in these looks. From Hanna's statement printed pants to Emily's cool Nike's, both outfits leave me ready for more Hemily style. Ali is the epitome of casual chic in a pink sweater, ripped boyfriend jeans cuffed up at the ankles, a long pendant necklace and flats.